Our mission is to work as a team with our customers, not just as a service provider but as a business partner committed to supporting their project with our experience, expertise and dedication to excellence. We endeavor to treat our vendors fairly and with respect. Our goal is to provide rewarding careers for our employees. We strive for continuous improvement in everything we do. We always put the customer first. In an industry where reliability, productivity and responsiveness are essential, California Flooring & Design is “a cut above” the competitors. At California Flooring & Design we understand that our future is based on our performance and we will never over promise or under estimate the complexity of your job. 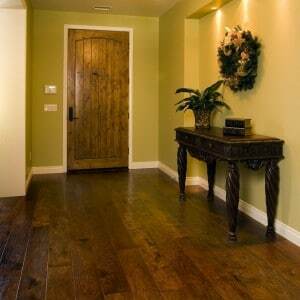 California Flooring & Design is committed to providing consumers with the best products to enhance any home. We receive new merchandise daily! California Flooring purchases flooring in large quantities, 1000’s of square feet at a time, in truckloads and container loads enabling lower pricing to you, the consumer. At any given time, California Flooring & Design has in excess of 1,000,000 square feet of flooring material in stock at our warehouses ready for immediate installation. We stock flooring from manufacturer’s closeouts of hardwood, laminate, carpet, tile & stone and even vinyl. California Flooring & Design has exercised both its passions for innovation and its uncompromising commitment to quality and service. The result has been a company with a fine reputation in the flooring industry and whose name has become synonymous with exceptional quality, value and reliability. Today, we are more than just a flooring company, with one of the largest and best trained labor forces in the state, you can be confident that every flooring application is completed with meticulous attention to detail and with unyielding pride. The aim of our business is to be the best place of work for trade and design professionals within the flooring industry. We look for the best, we train to be the best and together, we aim to be the best. We work hard to master our profession and develop life-long skills which are polished as we grow as a high performing team. This results in our ability to exceed our client expectations one project at a time.